Books Set In: Oh, No, Toto! Author: Tchana, Katrin Set In . . . 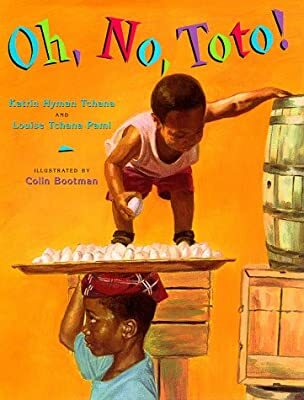 Description: Toto Gourmand, an insatiable two-year-old who wants every single thing he sees, invokes panic throughout his West African village when his grandmother, Big Mami, brings him to the bustling marketplace.